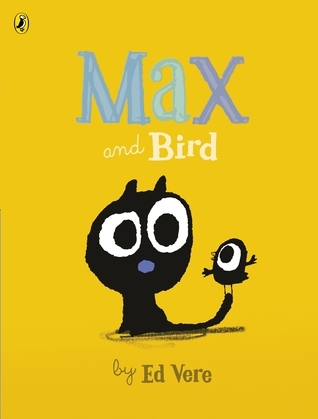 I find wordless picture books so interesting because they give me a new perspective on story! 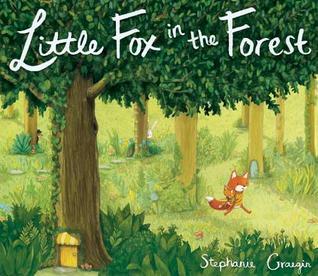 Little Fox in the Forest was conceptualized and illustrated by Stephanie Graegin. 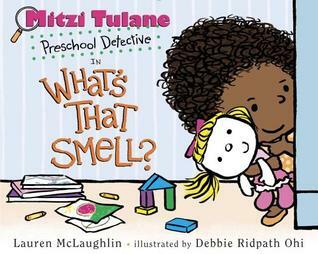 It was published in 2017 by Schwartz & Wade Books. The problem of a stolen toy is so relatable for young children. I admired the way the illustrator used colour to emphasize different elements and scenes. The story begins in blue tones, but this changes as the story unfolds. There are many details for child readers to talk about and most pages include several small illustrations. This story would work best for a small group or pair of students to discuss and wonder about what is happening. 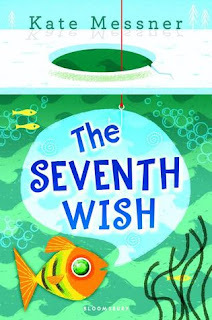 It’s a good story for encouraging students to generate questions as they think about the story. There are many things to talk about, including making friends, finding lost things, different kinds of animals, and empathy for others. 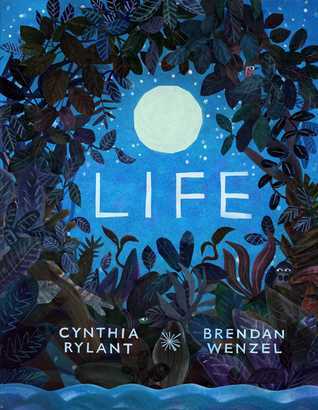 If I had the funds, I would love to create a center for wordless books in my classroom where children of varying experiences with books could explore wordless books like this one. Place this book at a center with toy animals, people and furniture to inspire story-related play. Have students work with a partner to create their own “pictures only” story. Encourage students to choose the girl or the fox and draw a picture to show what happens next. Put up the pictures in the classroom for a gallery walk. A thought-provoking look at our planet with lovely, detailed illustrations. Life was written by Cynthia Rylant and illustrated by Brendan Wenzel. It was published in 2017 by Beach Lane Books, a division of Simon & Schuster. This is a quiet book with slight touches of humor. It’s an interesting example of a circular text that begins and ends the same way. The illustrations show the diversity of life on our planet with muted tones and lots of detail. This is definitely a book for a quieter moment. For me, it generated lots of wonderings and thoughts about appreciating the smaller things in life, the diversity of life on our planet and what it needs to survive, and being hopeful when struggling with challenges. The text has many different interpretations and will work for several different age groups. Choose your favourite animal. What would this animal love about life? Create a piece of art and write your message as a caption. Take a picture of something small in nature. What could it grow into or become? Draw your idea. Since my mom is an artist and has made many paintings of the sky and clouds, I could really relate to the concept behind this book. I loved the way this gave me a whole different way of looking at the sky – or many ways! The sky tells many stories: in the clouds, in the stars, in the imagination. In lyrical text and brilliantly coloured illustrations, renowned artist Barbara Reid brings her unique vision to the sky above us and around us, in all its moods. 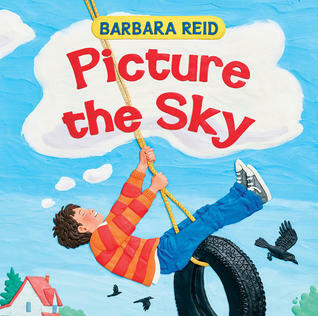 Picture the Sky was written and illustrated by Barbara Reid, and published in 2017 by Scholastic Canada. It can be a blanket, or the curtain rising on your day. I appreciate writing that draws attention to different perspectives or parts of the world that many people don’t take the time to think about. I enjoyed the careful choice of language and the cadence of the text. The illustrations are lovely, big enough and colourful to catch the attention of wiggly children, yet full of interesting details. I want to read this book to my class in the hopes of sparking an inquiry or investigation of the sky! It’s a good story for encouraging students to share their perspectives or to read during quieter moments to encourage thoughtful reflection. Go outside to observe and take pictures of the sky on different days (e.g., once a month) and discuss how it changes. Or write an emotion word to label the picture and create a class photo exhibit. Have students create their own sky pictures using modeling clay or paint. This book encourages wondering! A good choice to pair with non-fiction about growing plants. You might think a farm means fields, tractors, and a barnyard full of animals. But you can plant a farm anywhere you like! A box or a bucket, a boot or a pan — almost anything can be turned into a home for green, growing things. Windows, balconies, and front steps all make wonderful spots to start. Who knows what plants you may choose to grow and who will come to see your new garden? Phyllis Root delivers a modern rhyming mantra for anyone hoping to put their green thumbs to good use, while G. Brian Karas’s cheerful urban illustrations sprout from every page. After all, anywhere can be a farm — all it takes is one small seed and someone to plant it. 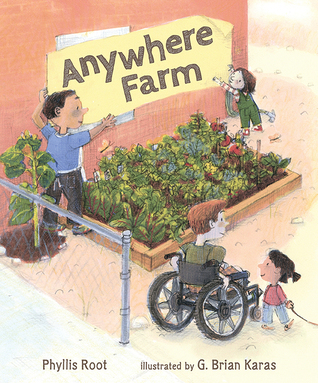 Anywhere Farm was written by Phyllis Root and illustrated by G. Brian Karas. It was published in 2017 by Candlewick. I liked the concept that seeds can be planted in all kinds of different places. The language in this book is fun: “Your seed will sprout out at its own seedy speed.” It’s a lovely example of rhyme done well. A great choice to go along with learning about plant growth. Some pages introduce questions, which are good opportunities or models for students to wonder and think. This is a really fun rhyming story for young children! I liked the way the ending invites the reader to take action and plant their own seed. Can we create a classroom garden? What do we need? Encourage students bring in seeds and containers to plant their own creative garden. Draw a picture of an unusual place where you could plant a seed. Create a “wonder wall” where students can post their own questions about growing seeds. 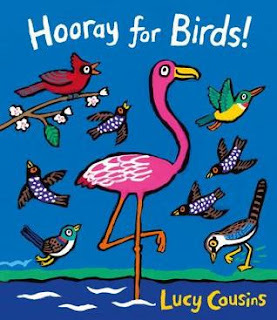 This is a really fun rhyming story from young children! I won this book in the summer in an online contest sponsored by Vivian Kirkfield (check out her blog for great reviews of picture books). I could hardly wait for school to start to introduce it to my class! Bulldozers, scrapers, graders, and more are hard at work making sure that every car, truck, and motorcycle can get where they’re going fast! 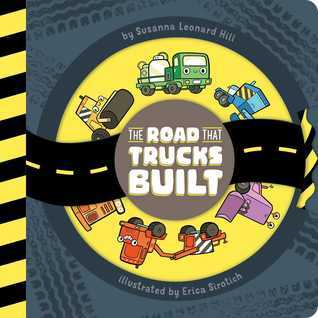 The Road That Trucks Built was written by Susanna Leonard Hill and illustrated by Erica Sirotich. It was published in 2017 by Little Simon. This is the traffic that’s moving too slow. Cars and buses have nowhere to go. The trucks need to build a new road! This is a nice example of how to create a rhyming story. The problem of the story is clear from the beginning. The fun, bouncy rhymes keep our attention through the story – as do the big, bright illustrations of different trucks. Most of the lines in the story flow easily during a read aloud. The choice to use the format of “The House That Jack Built” works well. This is a really fun rhyming story for young children! The idea that every truck has its part to play in the construction can be used to help explain the concept of teamwork. The labeled diagrams at the back are good examples of how to label as well as providing information about the parts of trucks. Provide pictures of the different trucks in the story to use when telling the story. Create a road building centre with props for children to explore during play. With Lego or other snap-together blocks, encourage children to build different kinds of trucks and talk about the parts they need for their jobs. I don't have time for a full review of this one, since it's so early in the school year and I'm still re-learning how to balance my writing, reading and teaching without collapsing from exhaustion at the end of every day. But I really wanted to give this book a shout out. 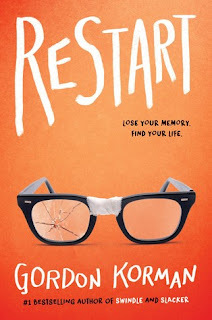 I loved the concept of the story: a kid who was a terrible bully has an accident, gets amnesia and gets a chance to start his life over again. This is a different take on a bullying story and it's worth sharing with kids to generate discussion about feelings and behaviour choices. As well as Chase's point of view, the story is also told from the perspective of kids who he bullied in his "previous life." I am a big fan of Gordon Korman's writing and you can learn more about him from some of my other reviews of his books: UNGIFTED, MASTERMINDS and THE HYPNOTISTS. 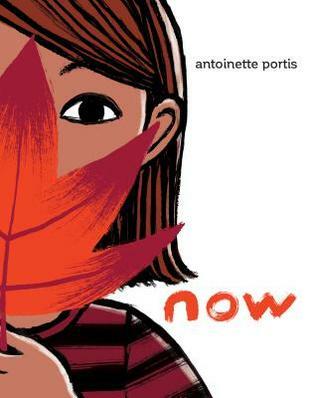 This is one of the best middle grades I've read this year - a fun, fresh and delicious story with bold and lively characters. Aventurine is the fiercest, bravest kind of dragon, and she's ready to prove it to her family by leaving the safety of their mountain cave and capturing the most dangerous prey of all: a human. But when the human she captures tricks her into drinking enchanted hot chocolate, she finds herself transformed into a puny human girl with tiny blunt teeth, no fire, and not one single claw. She's still the fiercest creature in these mountains though – and now she's found her true passion: chocolate! All she has to do is walk on two feet to the human city, find herself an apprenticeship (whatever that is) in a chocolate house (which sounds delicious), and she'll be conquering new territory in no time … won't she? Wild and reckless young Aventurine will bring havoc to the human city – but what she doesn't expect is that she'll find real friendship there too, along with betrayal, deception, scrumptious chocolate and a startling new understanding of what it means to be a human (and a dragon). The Dragon with a Chocolate Heart was written by Stephanie Burgis and published by Bloomsbury in in 2017. This is a good story to study to see how to create characters that feel alive and full of personality. I enjoyed all the details that showed her dragon’s eye view of the world the author created. It was interesting how Adventurine had to learn how to control the dragony feelings of rage that bubbled up inside during challenging situations. She also is quite determined and doesn’t give up on her dream to work in a chocolate house. 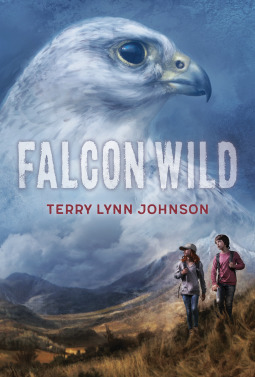 This story would be a great one to have in the classroom for fans of fantasy! Stephanie Burgis is the author of the Kat Incorrigible series. I believe (hope!) 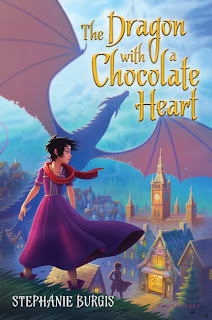 The Dragon with a Chocolate Heart is the first in a series too!